I highly recommend checking out Book Creator by clicking here!!! 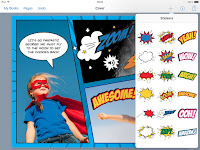 For a detailed review on how to use Book Creator for digital storytelling check out Monica Burn's excellent blog. *Book Creator is an advertiser of Technology Tidbits.